I am a screenreader user, and really enjoy working with Markdown. This tool seems like a very nice addition to my toolbox, but I was wondering if anyone knows if it is accessible? Meaning, does anyone know if the software works with screenreaders? how it goes. I'm always open to suggestions. The Blackboard system at the University where I teach has recently started reporting that the pdfs I generate with Marked 2 have low Accessibility scores. I wonder if there is a setting in Marked that could improve this? The system suggests Tagging the file by reexporting from Microsoft word. see pict. not at a point where I can offer any ETA on it right now. 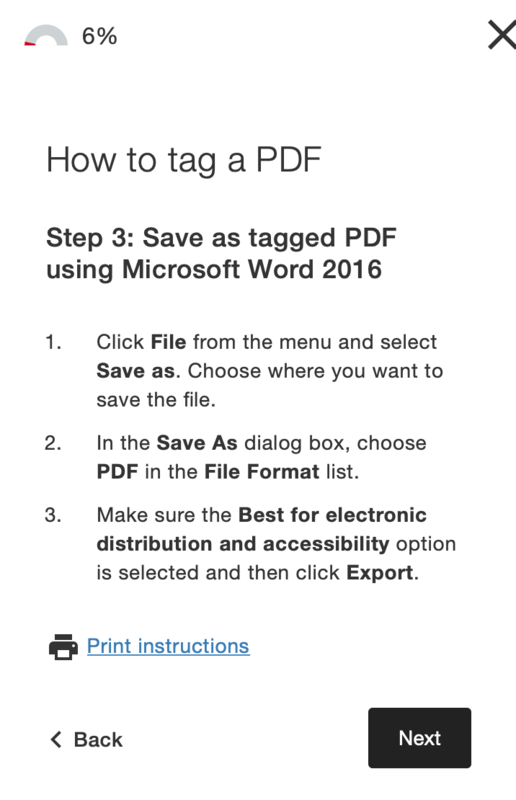 make opening in Word and exporting more accessible PDFs an option.